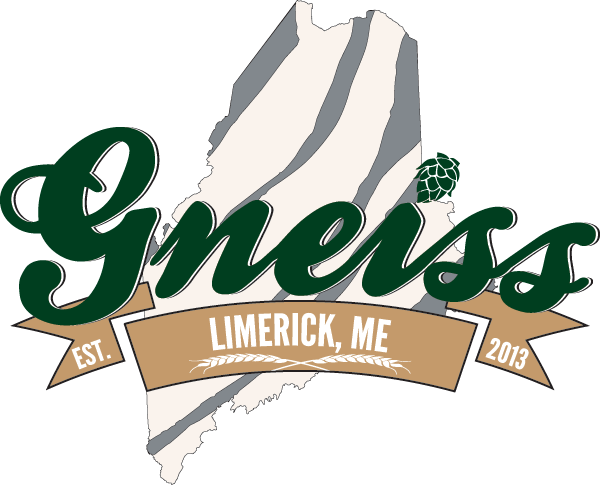 Gneiss was founded in 2013 as a passion project between two friends, and has grown to become a destination for all those who seek out unique beers in a unique place. Head Brewer and Co-Founder Dustin Johnson is inspired to create balanced beers that pay respect to the rich German tradition of brewing and layer them with the nuance and eccentricity of modern brewing. Co-Founder and Marketing/Sales manager Tim Bissell has a penchant for puns and pints, and by putting their heads together, Gneiss was born. We look to our German heritage, our love of science and our Maine way of living to bring you truly ‘rock-able’ beers!